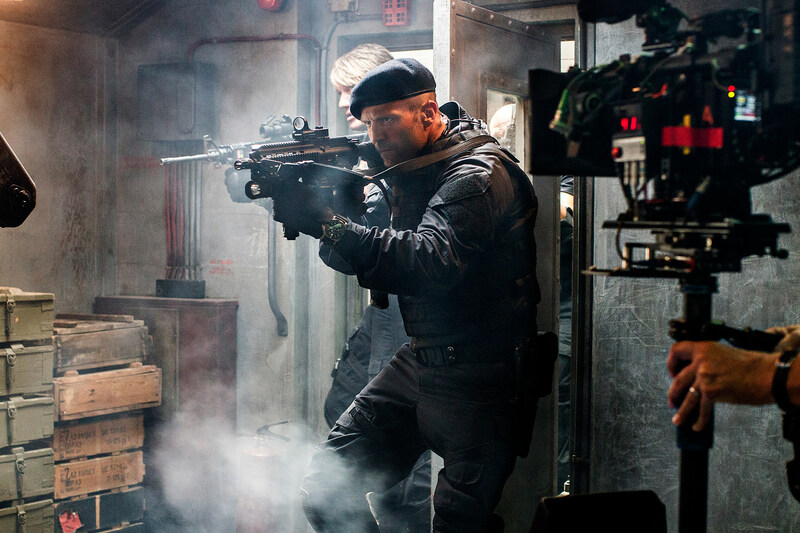 There's no way the set of 'The Expendables 3' wasn't a fascinating place to be. After all, you don't put personalities as varied and eclectic as Sylvester Stallone, Jason Statham, Arnold Schwarzenegger and Harrison Ford in one place without generating at least a few stories worth sharing. A new batch of images from the set of the upcoming action film makes us wish we could have been a fly on the wall for a few days. What exactly would Antonio Banderas and Wesley Snipes say to each other? With the exception of Statham's solo shot (which showcases him and his trademark scowl), these images paint a picture of a set where some of Hollywood's biggest stars rubbed elbows, swapped tales and had a great time making the cinematic equivalent of junk food. You won't find too many people who will defend the 'Expendables' movies as actually being good, but the appeal of the franchise is evident right here -- it's just all of your favorite stars, hanging out and having a good time. So check out the images below and come up with your own captions. What, exactly, did Stalone say to Banderas to make him laugh so hard? What common ground did Ford and Schwarzenegger ultimately find? Who decided the final order of their big group pageant shot? 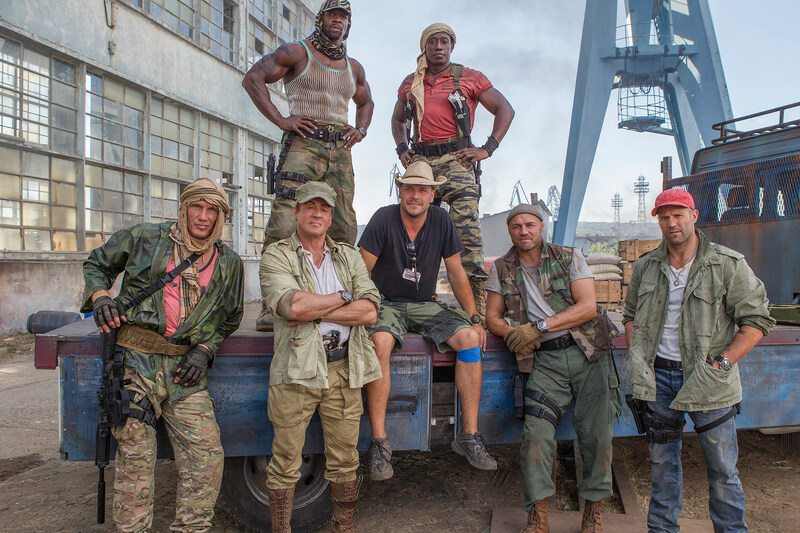 'The Expendables 3' opens on August 15.